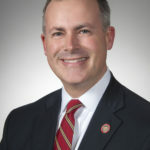 Ohio Democrats were quick to pounce on Sprague aligning himself with the pro-ECOT camp just as the failed e-charter is facing the music. The release noted that in the Dispatch article Sprague pointed to the experience of the Findlay Digital Academy failing to track online student attendance and consequently owing money for it. The Ohio Democrats’ release said that this goes to the heart of the ECOT debacle — Lager’s company failed to track student attendance and overbilled the state of Ohio nearly $80 million. “Sprague’s dismissive attitude toward basic accountability is the exact type of casual approach that led to the ECOT disaster in the first place,” Pepper said.